MEAP Version 7.60.888 is released. This release has fixed some more links in the manual, installer and various other areas to coincide with the new MEAP website. All existing MEAP users have now been imported to the new system. 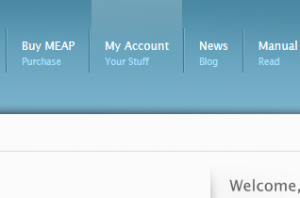 Your user name has been added the to the new MEAP Website system. All old passwords have been reset – So here is a temporary password assigned for you. Please go to the MEAP Website and login here: https://www.meap.biz/my-account/ You should then reset your password whenever it is convenient. There were some initial teething problems as expected but everything should work as planned from now on. Over the next period, all existing user’s orders will be added. So you will be able to login and download MEAP. Following which the new MEAP software update will be released. As you can probably tell by the fact that you are here, the new MEAP Website is now up and running. I thought it would be a good idea to post some information for new and existing MEAP users. The new system will work in a very similar way to the old one but will be much more efficient and reliable. However there are some issues that will need smoothing out over the next few days. Existing MEAP users will not yet be able to log in to the new Website. They will be added to the new system over the next few days. This is a slow process as it must be done manually. 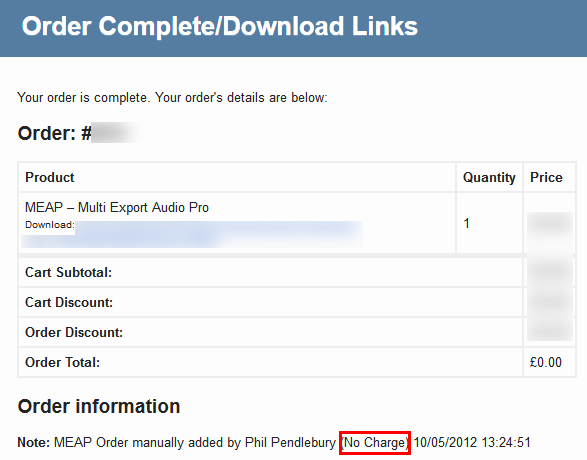 When you have been added you should also receive an email to confirm your MEAP order (or ownership). Unfortunately, during the move, passwords will not be retained. So existing MEAP users will have to reset their passwords. This procedure can be started by simply clicking the link Lost Password. 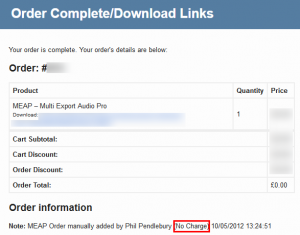 As your MEAP purchase is still tied to your original account. It is vital that existing users do not sign up for a new account. Meanwhile, Existing users can still log in to the old support forum and new users will use the new support forum if required. Here is a list of the first things to check if you are having trouble with MEAP. Any one of these things can make MEAP appear that it is not working. All of them are quite essential and should be checked before contacting support. Total time taken to do this list – About 3 minutes. Once you have verified all of the above, then proceed to submit a Support request. Following these simple steps will enable you te get the best possible service from MEAP and MEAP Support.